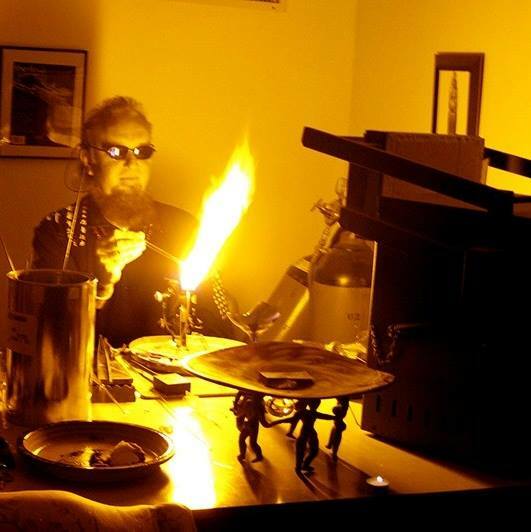 A chance of a lifetime to learn the art of glass blowing with a 20-year expert glass blower. The dance that is glassblowing involves elements of passion, fluidity, drama, spontaneity, choreography, temperature and timing all working together. Creating a piece to completion is an immensely rewarding experience bounded by a narrow time window as the hot glass cools. Saturday’s Bead Workshop: In this workshop, you will have the opportunity to create 1-2 beads per person. Sunday’s Figurine Workshop: Each student will learn how to make a figurine and take home their own work of art. Each workshop will start with a demonstration by Dave and each student will have the time to create their own masterpiece with guidance from Dave. Space at the Ah Haa School for the Arts is limited to six people per class. This workshop is co-sponsored by The Ah Haa School for the Arts.